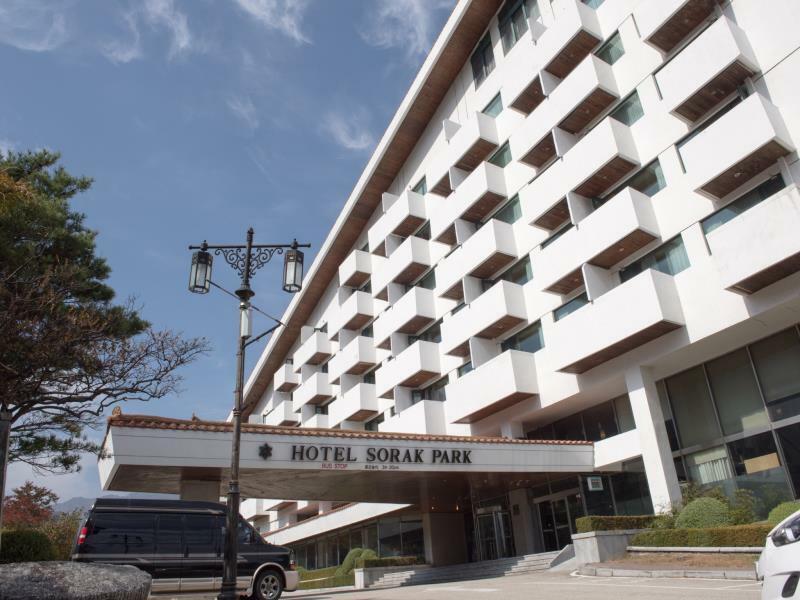 Have a question for Hotel Sorak Park? This hotel is not fanciful like Kensington Hotel, but i think if you are looking for a decent place to stay, this is the place to stay. The room was clean, spacious and the customer service was good.I ate lunch in at this hotel, the food was good and price was really affordable. Overall comment, pretty good! The guy who checked us in is the least hospitable person we've met in Korea, and that is the only unpleasant experience we had at the hotel. He is reluctant to give much information unless directly asked, but still gave only single word answers. The room we had, declared as a family room for 4, is just a room supposed to be for a queen bed only, but had 2 single beds squeezed in along the side. There isn't much space to move, and the TV also only had Korean channels. Nothing much is available in the hotel in winter as well. The view from the hotel is its saving grace. It faces the mountain ranges which is magnificent. The Sokrak Mountain is also within walking distance from the hotel (if you missed the shuttle bus). It is quiet and close to the mountain entance, by walk about 20 to 30 mins, althougt it is a bit outdated. You can have wifi at the lobby. In addition, also a market next to the hotel, you can have your meals and shopping at there. The staff is nice and helpful. the hotel is quiet and access to sorak national park is easy with shutter bus just a short walking distance. there is a 24 hrs small supermarket within walking distance. the view from the hotel is fantastic. the hotel provide auto upgrade of room for me from double to triple room. 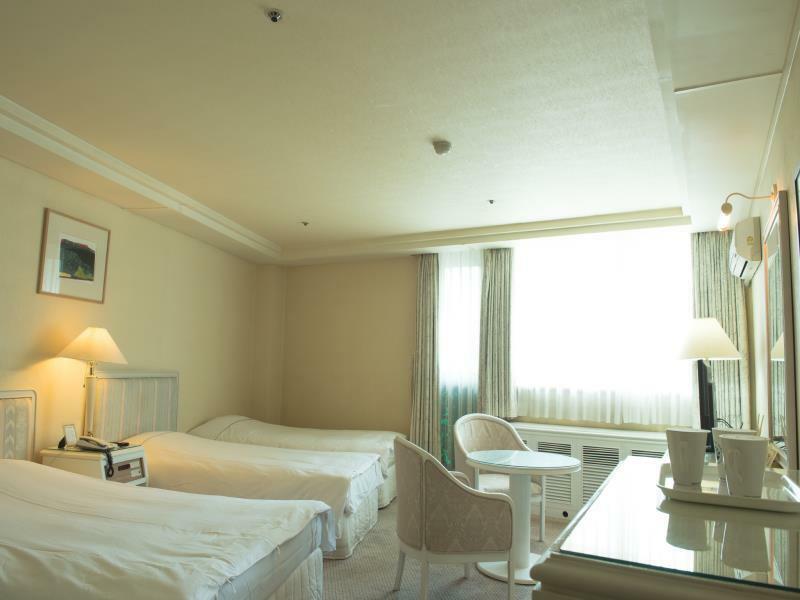 it is value for money to stay in sorak park hotel. when we entered our room, the door to the balcony was opened and the strong wind probably caused the ceiling of the washroom to fall off. after which, we were immediately given a change of room. all in all, it was a pleasurable stay. 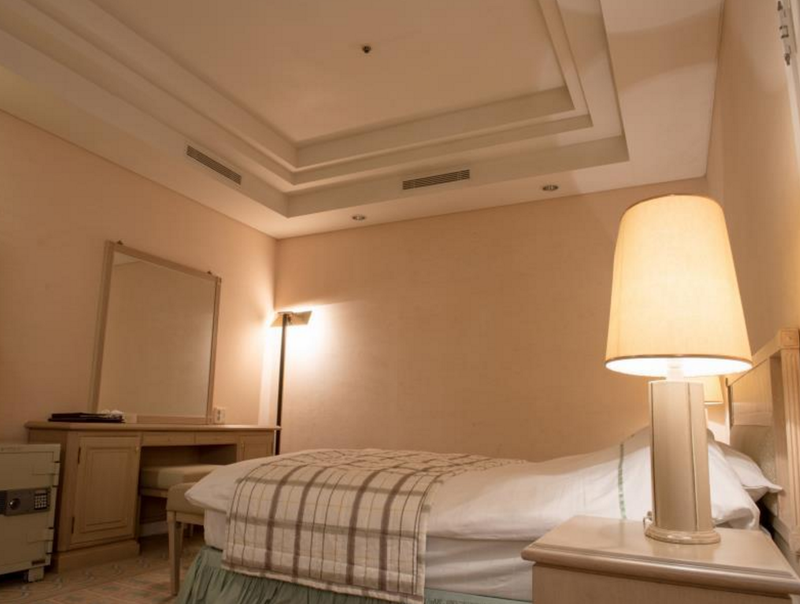 gentle staff, good location, good price (also in hotel restaurant), we did not visit casino so i cannot rate it. nice view from balcony. room was clean and in good condition. hotel looks empty (beginning of november) and i think that the best ages for this hotel are gone. 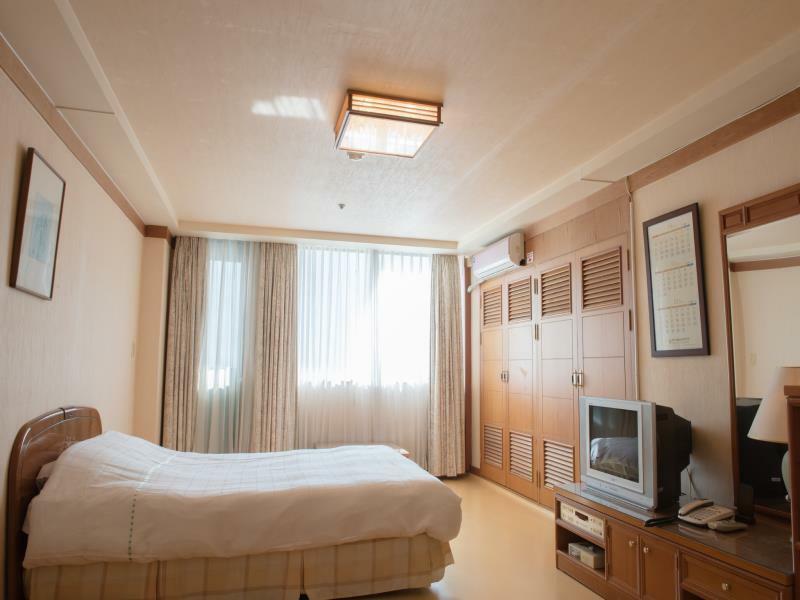 but anyway if you are looking for good and clean hotel near seoraksan i can recommend this one. I was happy staying in this hotel. It is a great location as there are a few restaurants next to it. There is a casino at the basement. Great view and it just took about 30min to Ulsan Balwi main entrance by walking or take bus no 7 or 7-1. 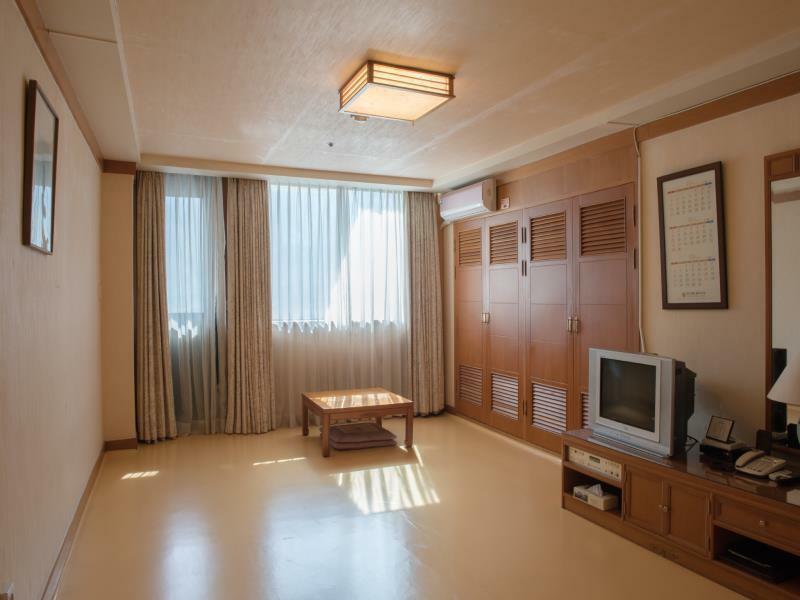 This clean and comfortable hotel is on the city bus line from Sokcho, so getting there is easy and only cost KW1,200 (USD1.00). 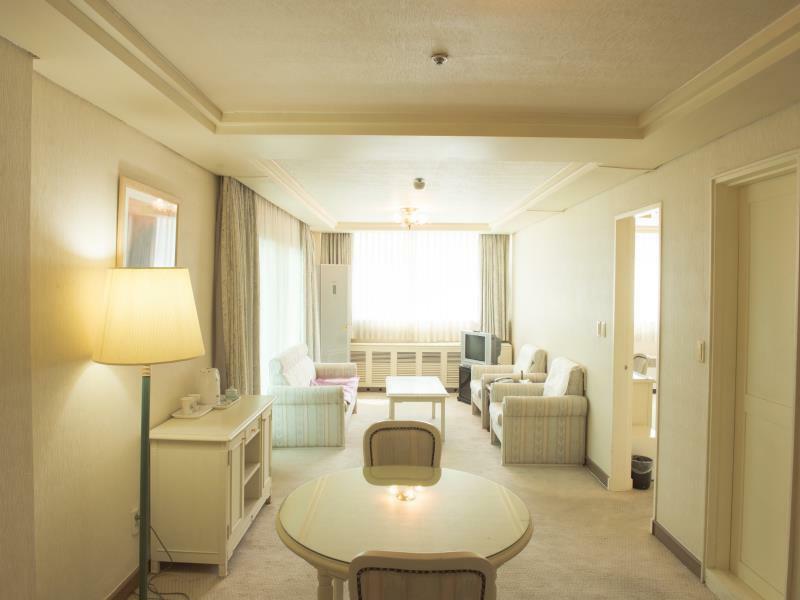 Nestled against the mountainside, just before the enterence to Mt Seorak, the hotel has an excellent location. 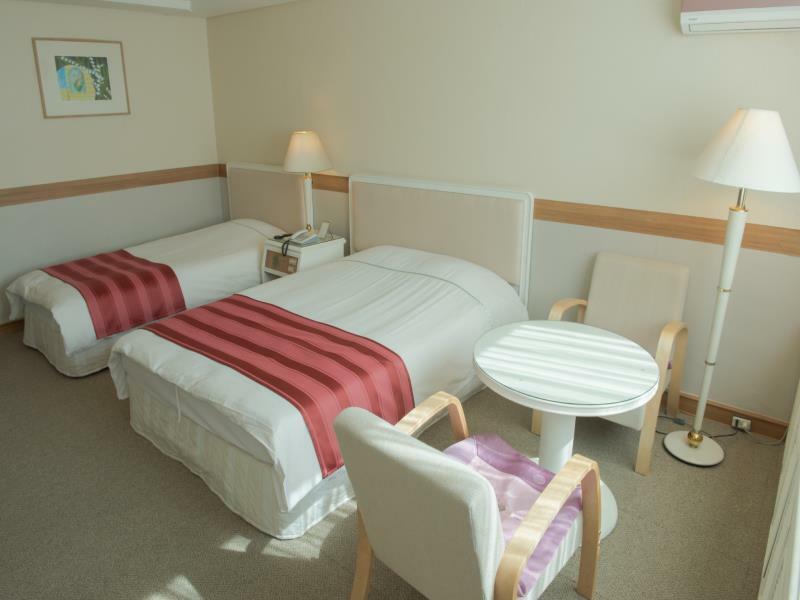 Restaurants are available at the hotel, but several small restaurants and convinience stores are near enough to the hotel to give you options. The staff are freindly, attentive, and speak excellent Englich. For a visit to Mt Seorak, this is the place to stay. we stayed 2 nights..the view is very lovely...there is casino...mountain..temple...and near from the hotel is mt seorak park..u can hiking or ride the cable car go to the top of the mountain...very beautyfull.. Excellent hotel location - closed to the lovely Seorak National Park (1.5.km - nice walks there ==> Ulsanbawi Rock is a must...). Small restaurants and souvenirs shops around the hotel. Ca. 20-25 min to Sokcho (by local bus - every 10 min. & very cheap = 1000 kwon per person/way). Sokcho - a lovely clean town (ports, korean sushi, markets, beaches, waterpia, nice shops, etc.). Everywhere nice people (just some communication problems). Did't visit: The casino in the hotel. not many staffs are around but offer the best service. Also situated at the nice location near to Sorak Mountain. near the Sorak Park which take bus 7-1 around 3-5 mins. The hotel located kind of up hill then I was so tired to up walk up there. Free wifi is available at the lobby. I got this hotel because Agoda had it rated as a 5-star and it was a good price. Now I know why the price was low. The hotel was run down, we were one of only 3 rooms in the hotel, the lobby smelled, and half of the amenities didn't exist anymore. The rooms were clean but VERY outdated. The carpeting in the halls hadn't been updated in over a decade. I'm sure this used to be a fabulous hotel, just not anymore. I should have read more of the comments before booking. I will not recommend the stay here. mention hotel is just 500m from park but in truth it is 1.5 km. We were walking from the bus stop close by and it was difficult to climb & reach front entrance. There were hardly any staff to help and there were not many people staying as well, which gives a gloomy feeling. Breakfast is not worth as well. Only plus is beautiful view through the window. I had read the other reviews before arriving. Most of them were spot on. All of the restaurants, the sauna, the coffee shop; even the snack shop, were closed. The lamp in our room didn't work unless I gave it a little giggle. Then it gave me an, “I used to work" flash and shut off again. Found it comical. In any case the view was amazing...we left the curtains open and fell asleep as we watched the clouds cascading over the moon with the mountains in the background. The breakfast buffet wasn't extravagant but it did the trick with our twin 3 year olds finding enough to fill their little tummies. The staff was friendly considering they seemed to be understaffed and rather stressed. Got the impression a lot of corners are being cut to keep this hotel afloat. 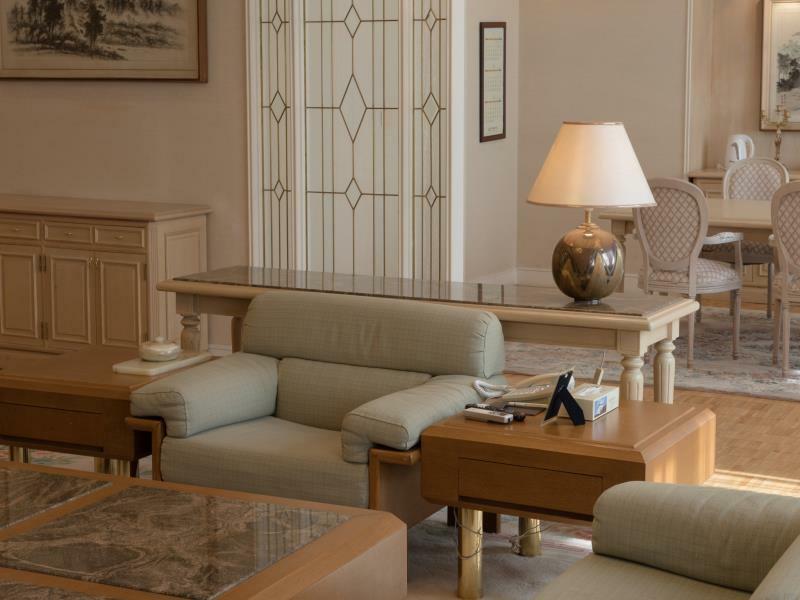 If you focus on what the hotel has to offer and not what is lacking you’ll have a great time…just like life I guess!